SAP’s revenue from cloud services has grown by 45% year-on-year. Cloud subscriptions and support accounted for revenue of €277m for the software giant in the third quarter of 2014, up from €191m in the same quarter last year. But the German software giant saw a continued decline in revenue from software services, down by 2% year-on-year from €975m in the third quarter of 2013 to €951m in this year's third quarter. Total revenue for the quarter was up 5% year-on-year to €4.3bn, while post-tax profit was up 16% to €881m. 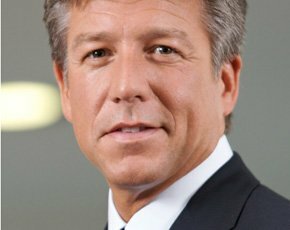 “We are accelerating our shift to the cloud with more than 40% revenue growth in the cloud,” said SAP CEO Bill McDermott. “SAP is the cloud company powered by Hana, helping customers run simple, with more than 44 million cloud users and the world’s largest business network,” he said. “We are leading next-generation customer engagement with the triple-digit growth of our omni-channel e-commerce platform. “Our portfolio depth in the cloud, global scale and industry domain expertise are the bedrocks that separate us in the market. With SAP Hana and the Business Network, SAP will continue to shape the future of the enterprise software industry,” he added. The company also saw continued adoption of its Hana platform, adding more than 4,100 customers, and its Business Suite on Hana, with more than 1,450 customers. According to the financial results, more than 1,600 startup companies are using SAP Hana to build their applications. Due to more and more customers moving towards a subscription-based cloud model, SAP has dropped its full-year 2014 profit forecast from €5.8bn-€6bn to €5.6bn-€5.8bn. In September, SAP agreed to acquire online travel and expense management software-as-a-service (SaaS) provider Concur Technologies for $8bn to boost its cloud portfolio. SAP said the acquisition will make it the second largest cloud company by measure of revenue and will provide an opportunity to cross-sell to the two companies' respective customers. The majority of SAP customers do not run Concur, while only 30% of Concur customers currently run SAP. SAP plans to migrate all its corporate travel and expense management to Concur’s integrated products. It also plans to integrate Hana with Concur to apply big data analytics to expense management and travel. Meanwhile, research from IT services firm HCL Technologies earlier in 2014 predicted that nearly $40bn of SAP installed software will move to the cloud delivery model in the next two years. A group of companies with revenue of $1bn and above plan to migrate 46% of their existing SAP on-premises environment to the cloud, according to the research. And they are doing so mainly to be more agile rather than to save costs.